‘’The CSRA application process was well explained and helped engage multiple departments in our charity in order to achieve the accreditation. 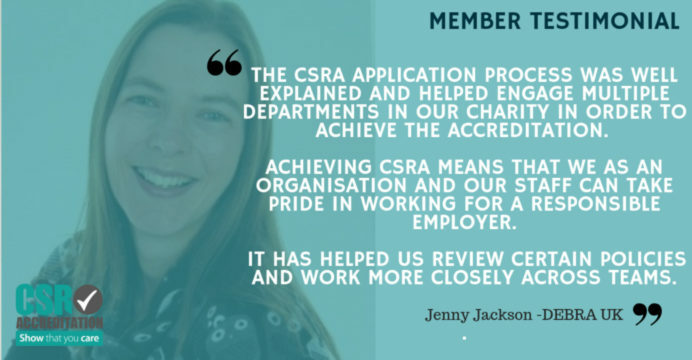 Achieving CSRA means that we as an organisation and our staff can take pride in working for a responsible employer. DEBRA is the national charity that supports individuals and families affected by Epidermolysis Bullosa (EB) – a potentially fatal skin condition that causes constant pain due to unstoppable internal and external blistering.